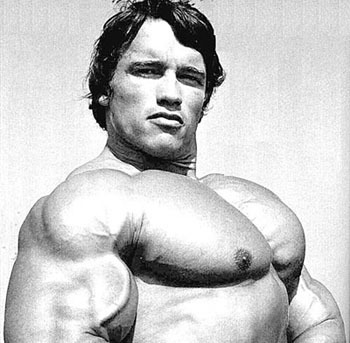 Huge chest muscles is one thing women will almost always mention when asked their favorite body part on men. And you'll always hear guys asking each other how much they can bench. How much a guy can bench press however, has very little to do with his chest. 1. When training to build chest muscle, the most basic, core lift is the incline press. Do 4-5 sets with heavy weight. 2. When you do flat bench, dumbbells are preferable to the barbell, because then it becomes a chest lift instead of a shoulder lift. And don't lock out your arms, it will keep the weight and pressure on your muscles, instead of giving them a break. You'll do this with dumbbells obviously, and you want to focus more on form than weight with this one, or it will become a press movement instead of a fly. Lower the weight slowly until the point that you can feel that stretch, then slowly bring it back up. Training your chest should yield good results as long as you give yourself sufficient recovery time and you're eating a lot of muscle building foods. If you feel like its a deep pain in the bones such as your rib cage... then you should quit slamming the bar off of your chest..